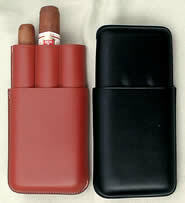 To protect cigars on an outing. There are only few manufacturers in the world, who can make Spanish cedar case of top quality as two different type of craftsmanship are required. One for leather and the other for Spanish cedar. Precision in measurement and perfect hand work is critical, so that the case closes smoothly and at the same time when you hold the top, the bottom does not fall out. your mini cigarillos when out and about. so they wont snag your pocket. Most cigar cases do not have a built-in humidification system – so cigars cannot be expected to remain fresh for more than one or two days, especially in dry climates. 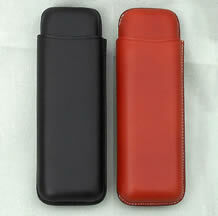 Keep cigars safely and in perfect condition.